in case you are using CentOS 7 Minimal you may need to install it – here’s a guide for installing Java 8 on CentOS 7.x – Install Java 8 on CentOS 7. Note: The same JVM version should be used on all Elasticsearch nodes and clients, in case of cluster setup. To get started with Elasticsearch you can use the provided API, mainly provides the native Java api, and the HTTP/JSON RESTful api, which can be accessed over the HTTP i.e. 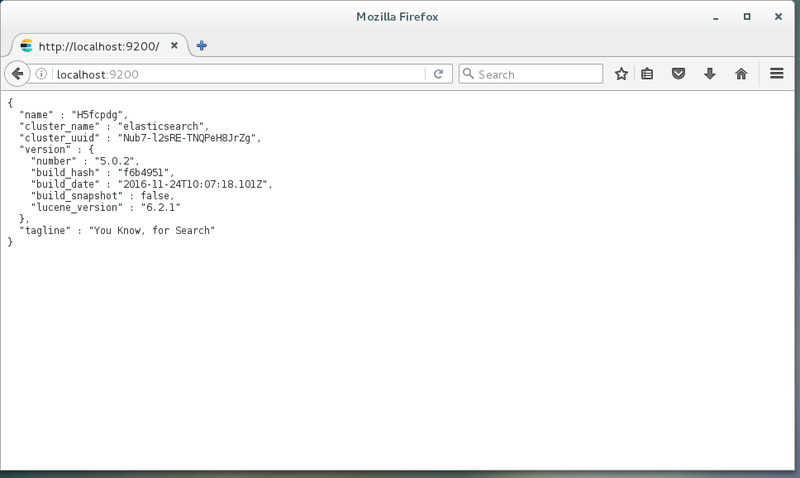 using curl command-line tool, and for simple GET request the usual browser will do the job. Elasticsearch’s RESTful API makes the basic CRUD operations possible i.e. Create (POST), Read (GET), Update (PUT), and Delete (DELETE). devopspy is the index of the data in Elasticsearch. 1 is the id of our entry under the above index and type.